When this legislative session started, the Minneapolis Zoo had dolphins, but no money to fix the dolphin tank. Now, thanks to a $4 million line item in 2012 bonding bill, the zoo has at least part of the funds it needs to start repairs – but it’s about to lose its dolphins. “Obviously, this was a difficult decision to reach,” said Lee Ehmke, the zoo’s CEO, breaking the news that the dolphins’ temporary relocation for tank repair is likely to be permanent. 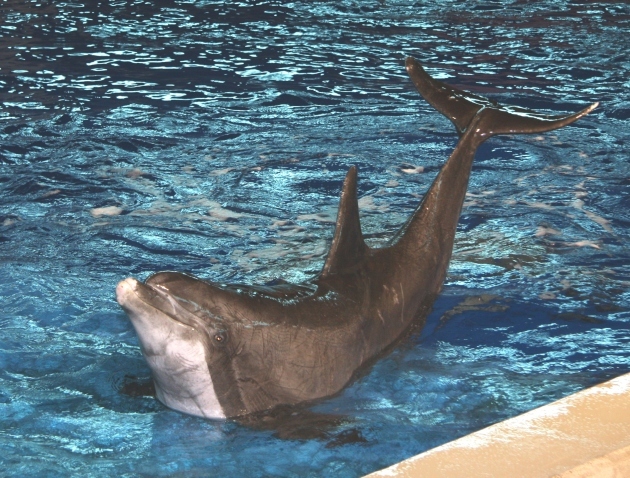 In recent years, the population of the zoo’s dolphin pod has dwindled to just two – Allie and Semo. Unless the zoo can find new animals to replace some of the six that have died over the past six years, Ehmke said the last two dolphins will likely be moved to new homes with more company. “Due to the low availability of dolphins, and the urgency of other zoo development priorities, at this time we do not foresee exhibiting dolphins in the building’s aquatic environments,” the zoo announced after the bonding funds were awarded. When Gov. Mark Dayton announced his bonding priorities earlier this year, the $775 million wish list included $7 million to repair the dolphin tank. At the time, Ehmke said, the zoo had not yet made the decision to relocate the dolphins. There were hundreds of projects jostling for a share of the capital improvement dollars the state borrows every few years to fund infrastructure improvements and construction work. Many of the projects on the governor's list didn't make it past the Legislature's belt-tightening. The zoo request did make it into both the House and Senate versions of the borrowing bills, although the funding dwindled to $5 million, and then $4 million. By then, the language had changed to a more general request for funds to repair the aquatic habitat. Ehmke said he requested the language change. Dolphins or no dolphins, the zoo continued to lobby hard for the funds to fix the aquatic habitat. During one hearing, Ehmke held up a large chunk of rusted metal that had flaked off the tank to demonstrate its deteriorating condition. “We’ve been thinking about (moving the dolphins) for years, and it’s become more critical with the population down,” Ehmke said. It will cost at least $7 million to repair the 15-year-old tank, Ehmke said. The cost could rise once the tank is drained and workers get a good look at its condition. The zoo is still debating what to move into the tank once the dolphins move out. It could become a fish exhibit, or it could be modified to host sea lions and seals. There’s even a remote possibility that the dolphins could return, Ehmke said. Zoo goers will have the rest of the summer to make their goodbyes to Allie and Semo. The zoo is still debating where and when the dolphins will go.